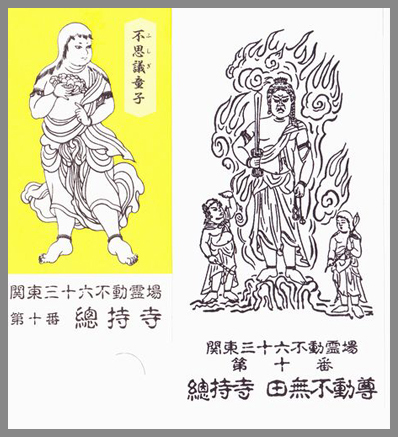 36 Fudo Temples in Kanto / Bando . 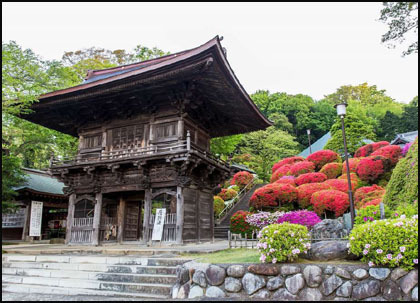 The temple is in the middle of the Ohara fishing village. 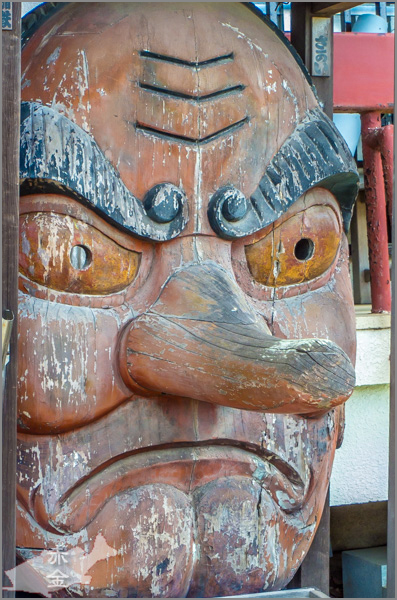 The village is famous for the 大原はだか祭 Ohara Hadaka Naked Festival. 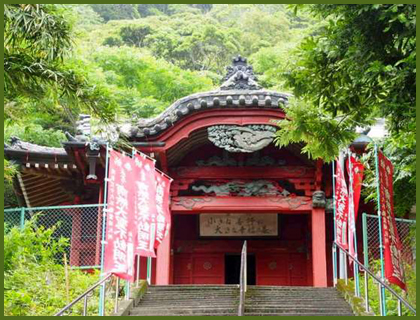 The temple was built in 1248, when a woman diver found a statue of Fudo Myo-O on the bottom of the ocean. 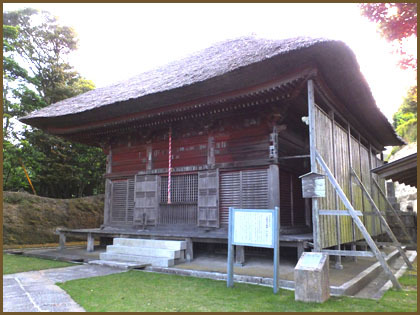 The roof of the Fudo Hall was thatched and is now an important cultural property. 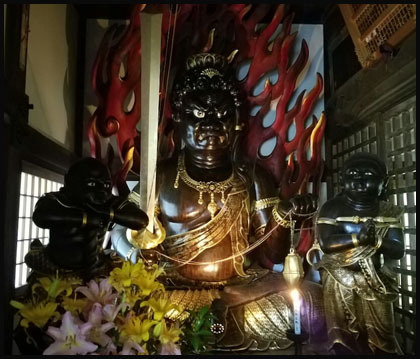 The main statue is 阿弥陀如来 Amida Nyorai.
. Namikiri 浪切不動明王 / 波切り不動 cutting waves .
. Narita Fudo 成田不動尊 . The temple was founded in around 1580. 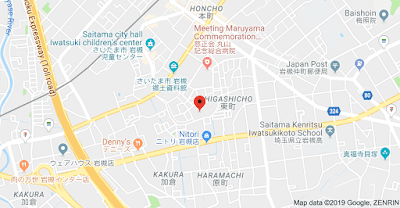 It is located in the kimon 鬼門 inauspicious direction in the North-East of the castle 万喜城 Mangijo / Manki castle of the Daimyo of the Isumi region, 土岐氏 the Toki clan. 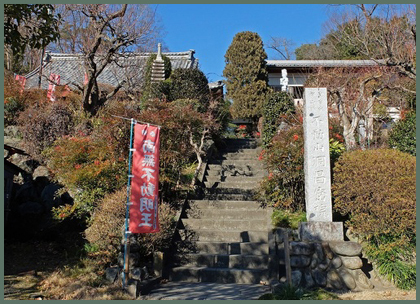 Mangi castle (万木城) is located over Shiroyama hill, one of about 50 meter height in the middle part of current Isumi city at the southeastern part of Boso peninsula. 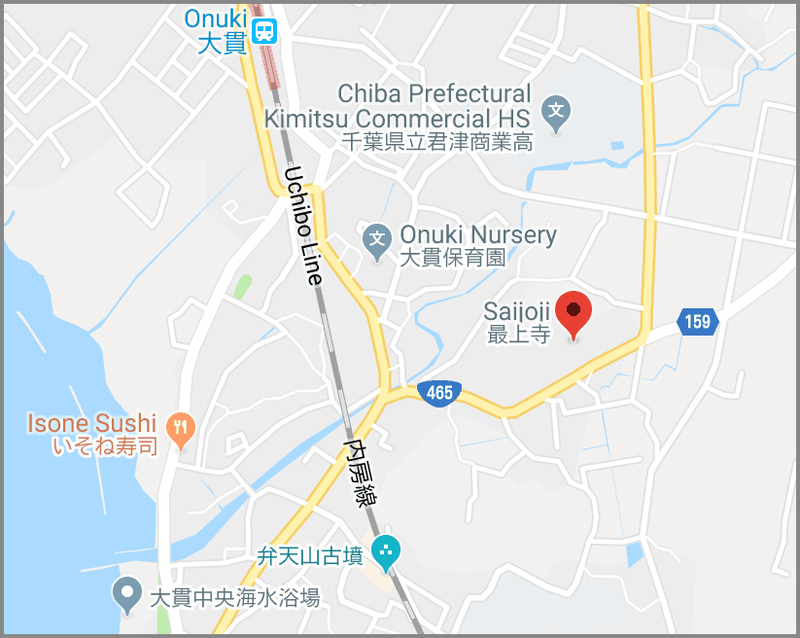 Isumi-gawa river, a large one of the area which flows from nearly south edge of Boso peninsula flows toward north and turns to east at Otaki town toward Pacific Ocean, and castle site is just at the middle of Otaki area and river mouth. Origin of Mangi castle is unclear along with its master Toki clan, but might be built in the beginning of 16th century. 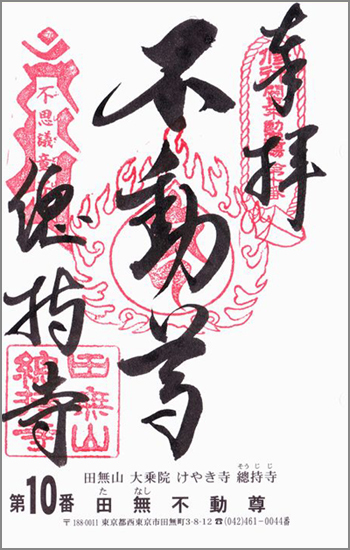 Toki clan was originally a distinguished family which was a branch family of Minamoto clan that later established Kamakura Shogunate and regarded as the leader of Samurai. 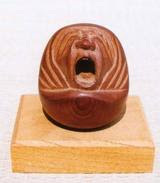 Toki clan diverged from Minamoto clan in 11th century, then grew their power at their territory Mino province (Gifu prefecture) along with many branch families.
. boke yoke ボケ除け to prevent dementia .
. Tengu and Fudo Myo-o　天狗と不動明王 . 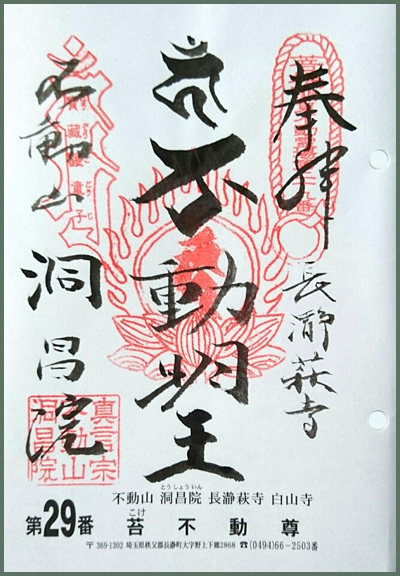 Isumi is part of ancient Kazusa Province. 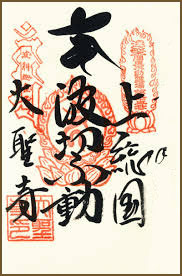 During the Edo period, the area was mostly tenryō territory ruled by various hatamoto on behalf of the Tokugawa shogunate. 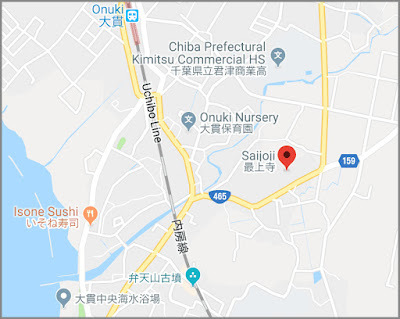 The former town of Isumi was established on April 29, 1955 from the merger of former Kuniyoshi Town with two neighboring villages. 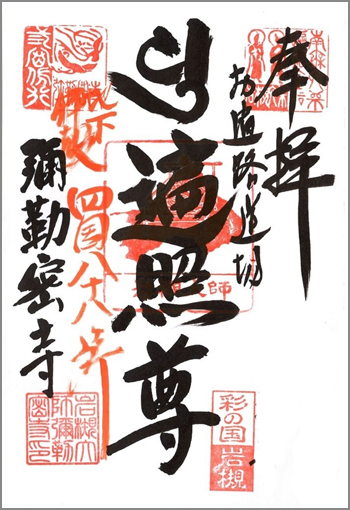 The temple was founded by 良弁僧正 Saint Roben. 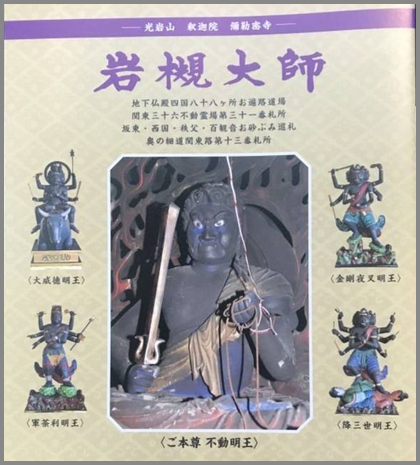 He also carved the statue of Fudo Myo-O. 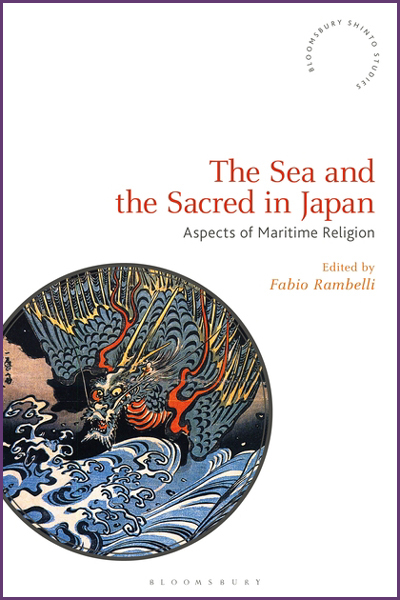 The temple is well visited by the local fishermen to pray for a good catch. 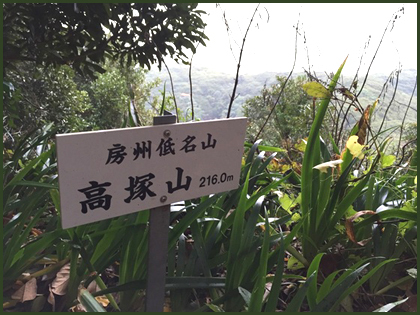 For those who could not walk up to the main Fudo Hall on the mountain. Mount Takatsukayama 高塚山　is only 168 m high. 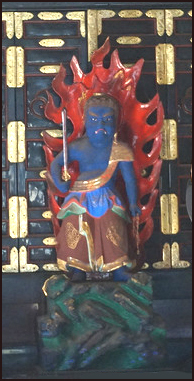 The main Fudo in the Fudo Hall is a secret statue. 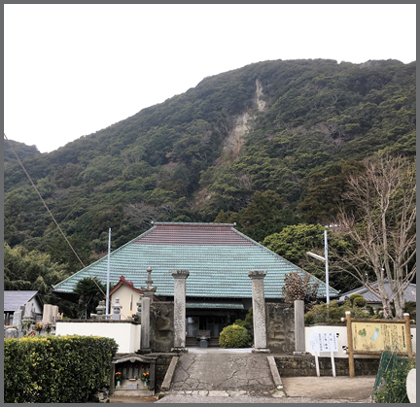 Mount Takatsukayama 高塚山　is only 216 m high.
. 大聖不動明王 Daisho Fudo . 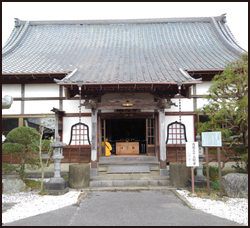 The temple belongs to the Shingon sect. 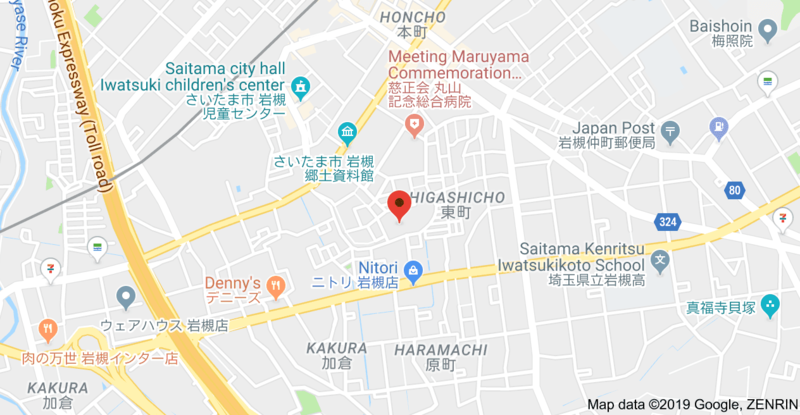 It was founded in 774. 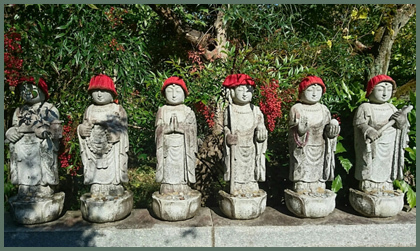 It is said that Kobo Daishi made these five statues himself.
. O-Sunafumi Henro pilgrims お砂ふみ遍路 .
. Godai Myo-O 五大明王 Five Great Myo-O .
. 喜多院 Kita-In Kawagoe Betsu-In .
. Iwatsuki negi 岩槻葱 leek from Iwatsuki . It has been out of use for many years but now revived by some diligent farmers. 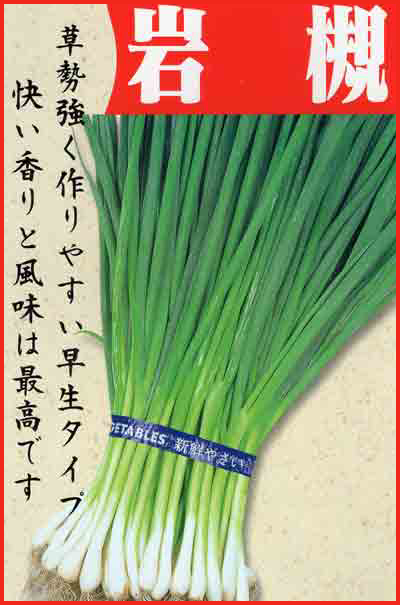 It is a special leek with 10 to 20 stems growing from the same stem. The white stems are about 20 cm long, and the soft green leaves are also eaten. It tasts rather sweet when cut fresh and put on a grill, the whole white and green plant. 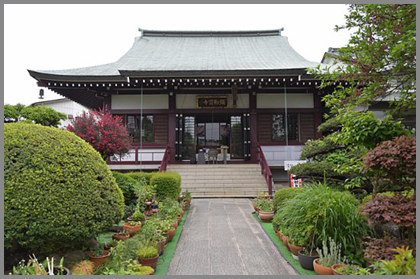 hagi no tera 萩の寺 Bush Clover Temple. 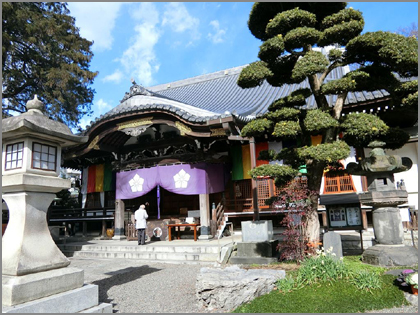 The temple dates back to the Mid-Heian period and the statue of Fudo Myo-O was made by 弘法大師 Kobo Daishi himself.
. mizukake Fudo 水掛不動明王 throwing water on Fudo . 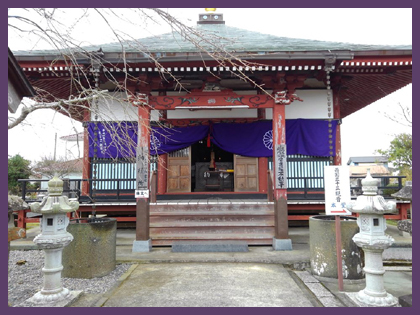 Relocated to its present place around 1650.
. Tanashi Jinja 田無神社 Tanashi Shrine . 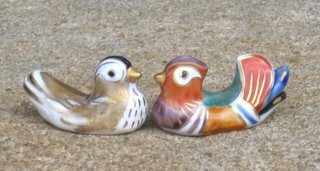 It is so beautiful, it was elected as Nr. 73 of 東京百景 the 100 special sights of Tokyo. 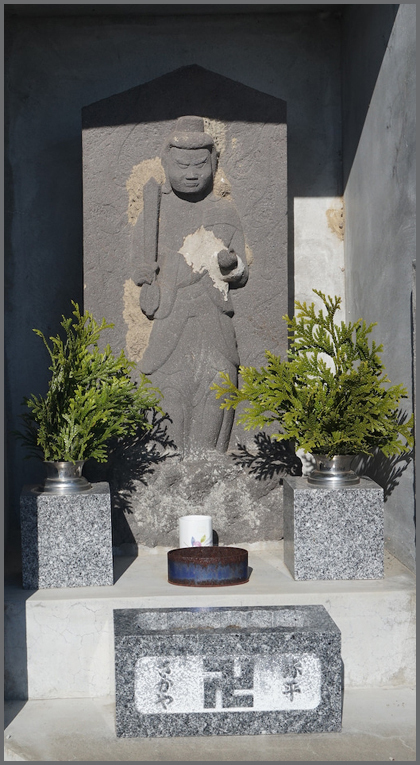 The main statue is 大日如来 Dainichi Nyorai.
. Kobo Daishi Reijo 弘法大師霊場 Pilgrimages .
. Tanashi choo 田無町 Tanashi district Tokyo . The main hall has been established in 1859. The main gate dates back to 1898. 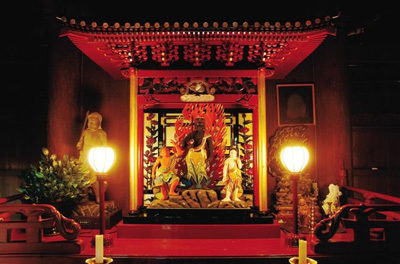 The temple also houses a statue of 毘沙門天 Bishamonten. 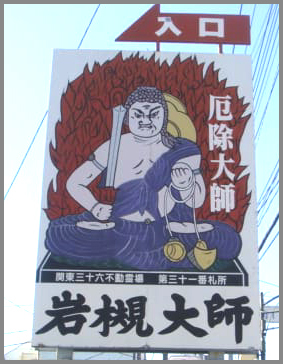 This Fudo statue has been made in 2007. It is about 3,6 m high. 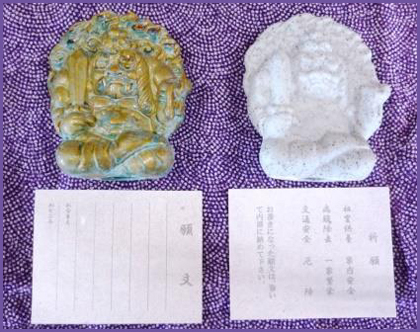 Many copies of the Sutras are offerings in its seat.
. shinboku 神木　sacred tree, divine tree .